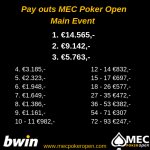 The second day of the MEC Poker Open started at 13:00 the 5th of April. With 80 online entries day 1B already broke the total entries of day 1A. At the end of the day there were 138 entries and 25 players made it to day 2. 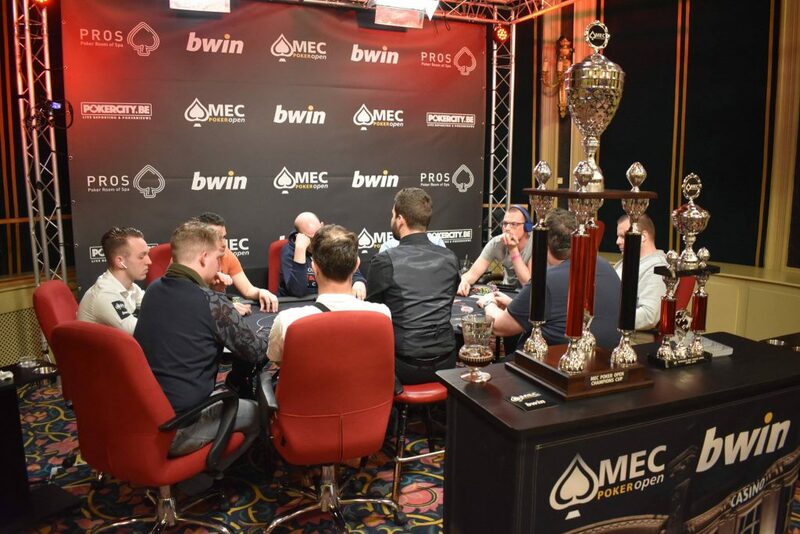 Yesterday we saw a lot of Belgian players playing the first day of the main-event. On day 1B most of the players were from Holland. The first player to bust was Nick Stack after only playing for 18 minutes. He chose to re-entry the tournament, but couldn’t make it to day 2 at the end. 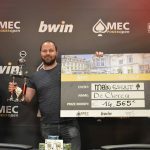 Danny op ‘t Hof, the winner of the first ever MEC Poker Open, had decided to play 1B to defend his title. He had to hand over his challenge cup to the organization and received a brand new cup that he can keep. If he wins the MEC Poker Open three times, he can keep the challenge cup. He busted right before the dinnerbreak but made a last minute re-entry. 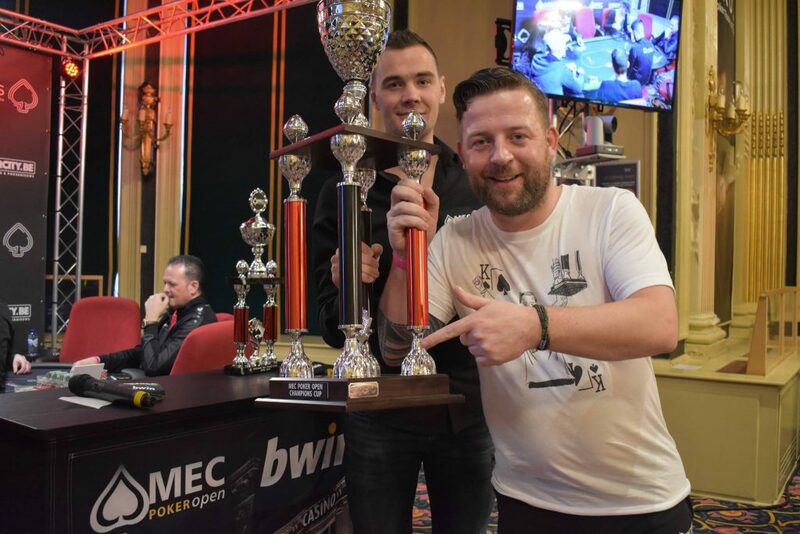 Danny was soon followed by Ruurd Nauta, who’s the teamcaptain of the Dutch Open Poker Championship team and had a very good run at the end of last year with 3 final tables in a row where he won over €30.000. He was the man to watch from the Dutch players. Stéphane Lomzik started the day table 6. Stéphane is familiair with playing tournaments in Spa and Namur and is a regular in the Belgian pokerscene. Not long after the dinnerbreak Johan Huisman got eliminated and couldn’t re-entry. We hope to see him tomorrow at day 1C. Stephane Lomzik couldn’t make it to day 2 either. He got eliminated at 56th place. Ruurd Nauta had over 140.000 chips, but lost a big hand against his German opponent. With only 2 levels to play he busted at 30th place. 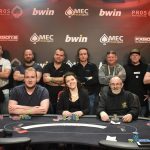 Other players who got eliminated just before the end of day 1B were Alwin van Dalen (28th), Kai Bongers (34th), and Corné Ruitenschild who finished as runner-up in the €35,- side event.